Dive into Save the World to unlock the new Rose Pickaxe and Warpaint Glider founders rewards in Fortnite Battle Royale. It seems like Fortnite Founders have a few new digs coming their way, as the crew at Epic Games has at last revealed the new Rose Pickaxe and Warpaint glider. First leaked back in January, these exclusive founder rewards are meant for players dedicated enough to jump into Save The World, but will themselves become unlocked in Fortnite Battle Royale. Here's how to get them. The new Warpaint Glider and Rose Pickaxe in Fortnite are being offered as "founder rewards." For anyone who might not know what that phrase means, the two items are essentially only available to players who own Fortnite Save The World. It was the main Fortnite experience before Battle Royale, and Epic Games wants to make sure those who pay for their Fornite fun are properly rewarded. As for the items themselves, earning them is very easy: Simplycomplete the first two campaign missions in Save The World. Right now these are the Homebase Storm Shield Defense 1 and Before and After Science missions. Like other Save The World quests, each of these missions unlock their own rewards independent of the new items on offer. 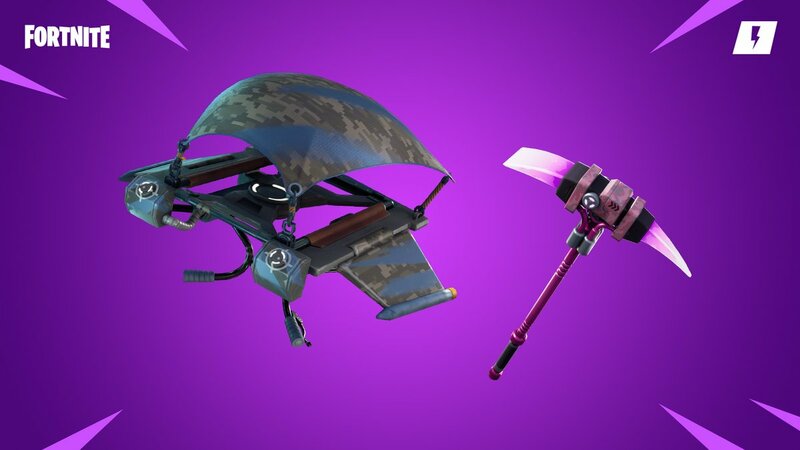 Once the first two campaign quests in Save The World have been completed, both the Rose Pickaxe and Warpaint Glider will become available within Fortnite Battle Royale. Epic Games won't let Fortnite go even a single day without adding new content, items, cosmetics, and more into the game. Both Battle Royale and Save The World continue to get love week after week, and you can bet your bottom dollar that Shacknews will be here to cover all the latest goodies. Keep on top of all new developments in Epic Games' hit release by heading over to Shacknews' Fortnite home page.